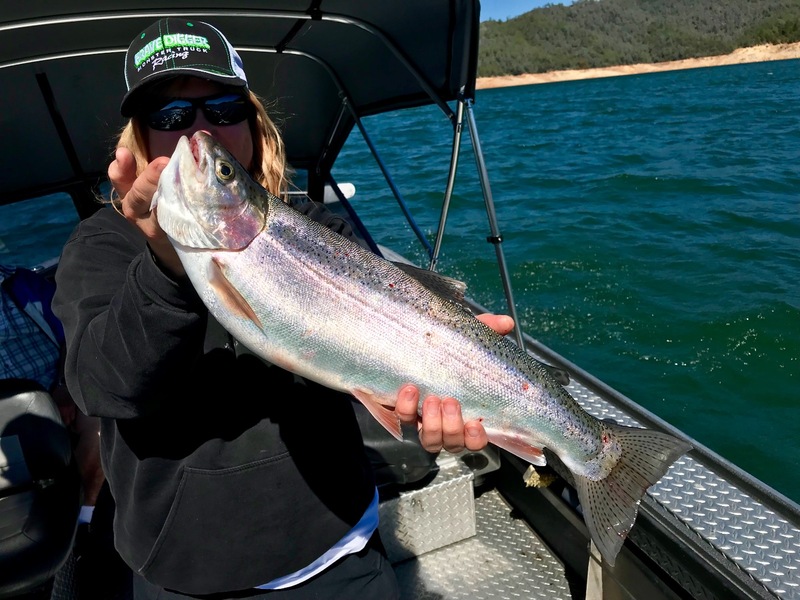 Today we fished Shasta Lake and its obvious that fall is right around the corner. The trout are deep and they are scattered. We fished for a larger class of trout today and found the best trout in the 100'-120' foot range. Spoons took our early morning fish, and the Long Shallow size Bay Rat Lures ruled the afternoon bite. 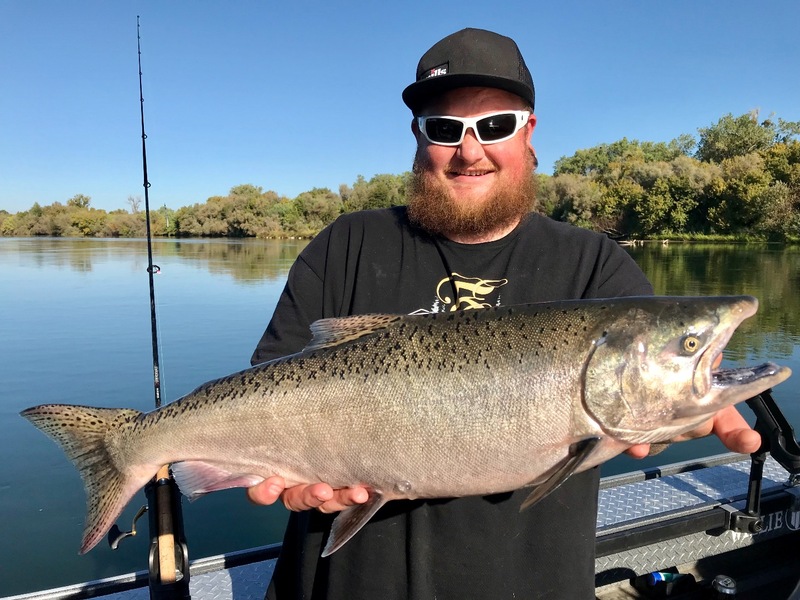 I'll be looking for the big fish in the coming weeks, but I think we'll see our best fishing when the lake cools off and the trout come back up on top. 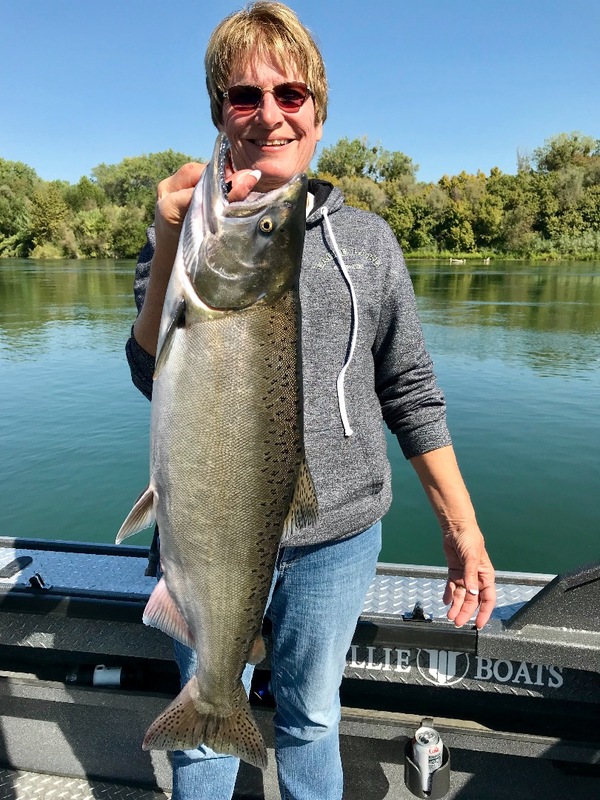 Corning king salmon fishing continues!